The Family law handbook is a practical guide for people undergoing separation and divorce. It includes information on what to do after separating, how to negotiate with your former partner, making arrangements for your children, family violence and abuse, achieving a fair property settlement and what happens at court. It includes sample forms, tips on drafting an affidavit, strategies for preparing for a court hearing, and useful information on all aspects of the separation and divorce process. Chapters 1 and 2 from the 5th edition of The family law handbook provided by Thomson Reuters for publication on the Find Legal Answers website. Read the first two chapters online here. 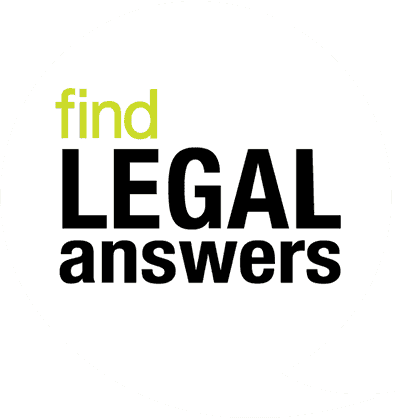 Find the book in the Find Legal Answers Tool Kit at your local public library. Overview of the family law system - community-based support services - finding the relevant law - getting legal advice - dispute resolution - taking court action - costs - representing yourself - changes to the law in 2012. The law of marriage - legal status of de facto relationships - defining separation for married couples - separation under one roof - divorce. The family law handbook, 5th edition, 2019. Published by Thomson Reuters (Professional) Australia Limited. © Thomson Reuters (Professional) Australia Limited 2019. Note to readers: Readers are advised to seek expert advice with specific problems in family law. This book is intended as a guide to the law and should not be used as a substitute for legal or accounting advice.